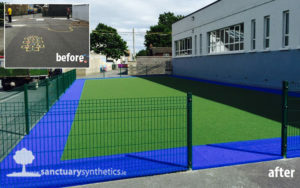 Sanctuary Synthetics have been transforming drab, grey, concrete playgrounds across Ireland for 15 years, with over 75 primary schools and over 300 creches now benefitting from our colourful play grass. 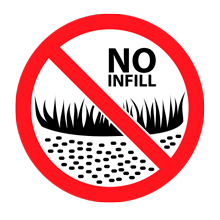 We can quickly transform entire yards or green areas into safe, attractive, MAINTENANCE-FREE play areas with our guaranteed non-slip, non-fade, friction/burn-free play grass. Happy children – free to run and play! 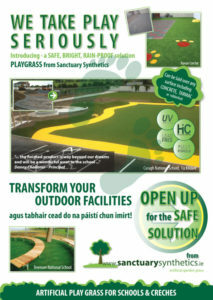 Perfect for all weather pitches & sports areas. 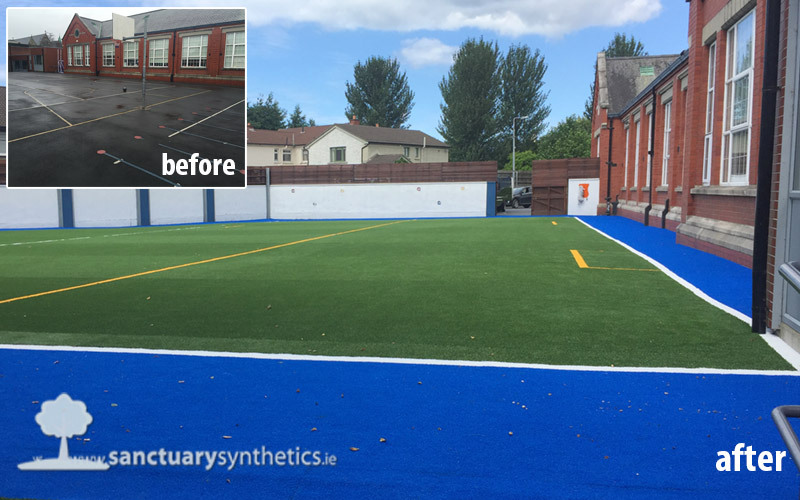 Designed specifically for sports, we have seen great demand for it across the country, with many schools having installed the surface in the first few weeks after we rolled* it out, and are now making the most of the area – rain or shine! 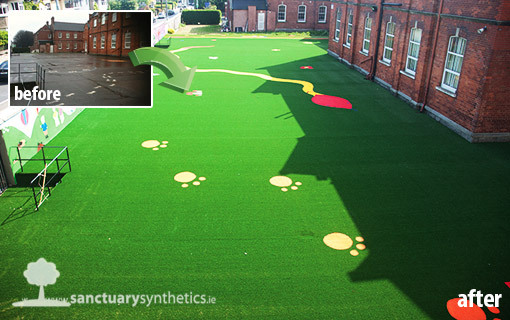 Here is a recent installation of our new X-Treme Sports Grass Pitch in a Boys National School. 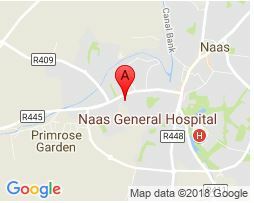 Just click on the image above to see the project pics. 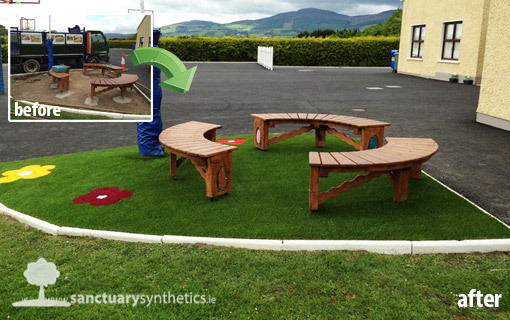 We recently completed a playground transformation in Parteen National School. 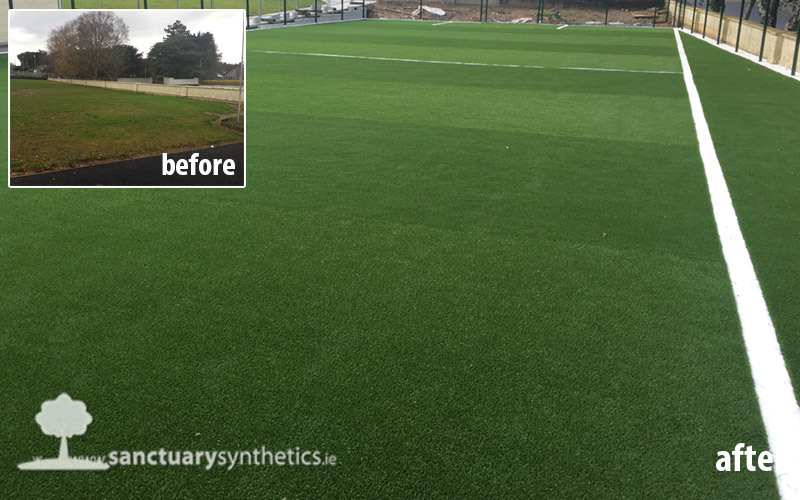 We installed our new X-Treme Sports Grass into their all-weather pitch. 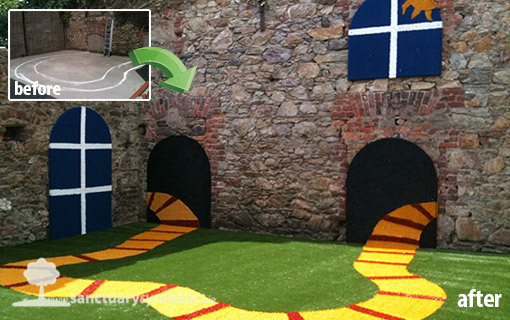 Just click on the image above to view the project pics. 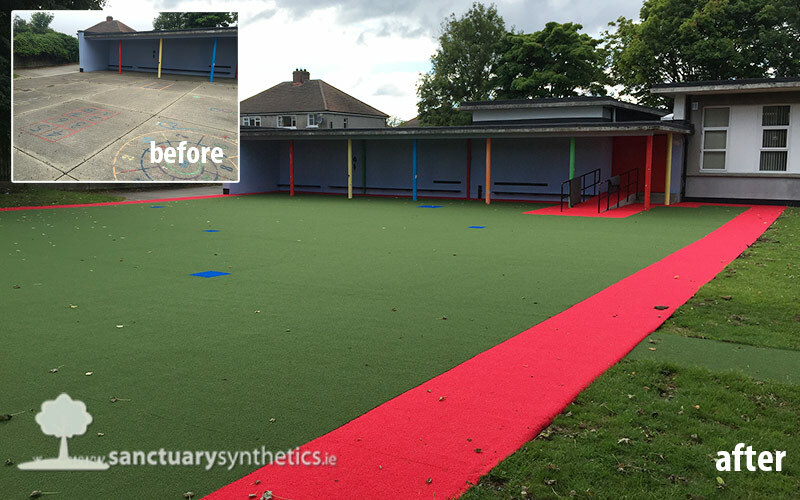 We will come and temporarily install 12 -20m2* of our synthetic grass, leave it for several weeks and you can see how it performs and how much the children love it.